To follow and invite others to follow Jesus Christ. We celebrate: We are a collection of individuals from a diverse and evolving community with varied backgrounds and lifestyles. All of us have unique gifts from and relationships with God. 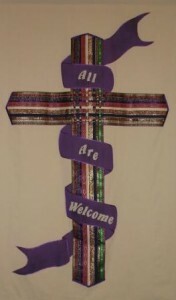 All are welcome; we strive to recognize God in everyone. We are focused on the future, continuing to build on the work of previous generations and on the foundation of our joy in knowing God. We support: United in Christ, we support each other in our journey of faith, and encourage one another to reach beyond our comfort zones. We are a thinking church. We are also a church of action, not satisfied sitting on the sidelines of our community. We serve: We strive to let our actions speak loud and clear in North Liberty and God’s world. Before our actions can speak, we must first listen to those around us including those who are commonly unheard. God can be known to others through the actions of God’s people. We are the hands and feet of God, delivering God’s blessings to anyone in need. For even Jesus did not come to be served, but to serve. 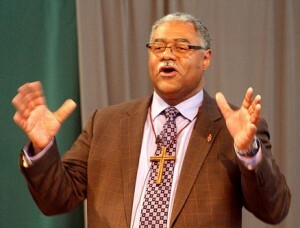 If you would like to know more about what we believe, please go to the website at www.umc.org. Another great way to discover what we believe is to go to worship or Sunday School. We love to talk. Ask questions – anything is fair game! How do I find out what’s happening at First United Methodist? There are several ways to keep up on what is happening. The website has the current month calendar and a monthly newsletter. Both are available on paper at the church as well. On Sunday mornings, you will get an announcements page at the door. Check the screens before the service for last minute announcements and highlighted events. We have bulletin boards in the gathering area and a weekly emailed newsletter (sign up for that by giving us your email on the attendance sheet during service or contacting the office at nlmadmin@southslope.net or 626-2762). If you are new to us, you are undoubtedly seeking to connect with other people. The good news is that there are many opportunities to do just that in the church! A good place to start is Coffee with the Pastor the second Sunday of the month at 8:45 AM. There you can hear about the church and ask questions in an informal setting. To meet others with similar interests, pick up a Ministry Opportunity Booklet at the information booth. Check the website or newsletters to see what Bible studies and groups are offered for each age group. What do we have to say about today’s issues? Read the United Methodist bishop’s letter on God’s Renewed Creation. How are we active in the larger world? We reach out to people in need throughout the world through the United Methodist Committee on Relief (UMCOR). When you contribute to UMCOR, 100% of your donation goes to the disaster or project.